At best, this story shows a disturbing lack of training for Fr. Ysrael Bien. At worst, it suggests that he may have been involved in sexual misconduct. 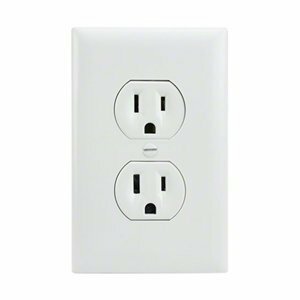 A church member initially found a camera – disguised as a power outlet – in a St. Francis bathroom on April 26 and turned it over to Bien. But Bien didn’t contact police until May 20, when he reported it as stolen. What the hell is going on here? Thankfully the Archdiocese has “suspended” Fr. Bien, but the failure of Fr. Bien to report the camera at all until after it was subsequently “lost” speaks volumes about the continuing systemic failure of the Archdiocese to educate parishioners on the reporting of suspected abuse and misconduct. No mention of whether the camera had bluetooth capability. Someone could have been—and almost certainly was—taping kids going to the bathroom in the church. And this idiot doesn’t even report it to anyone for almost a month, and then only does to report it stolen!!! Something is rotten in the parish of St. Francis. Trusting individual priests to police themselves or their parishes was shown to be a spectacular failure for the decades leading up to the priest abuse scandal of the 2000s and the Archdiocese’s own bankruptcy in 2004-05. Yet I’ve seen no communication from the Archbishop to the parishioners to report such misconduct to the Archbishop directly. That needs to change. Now.